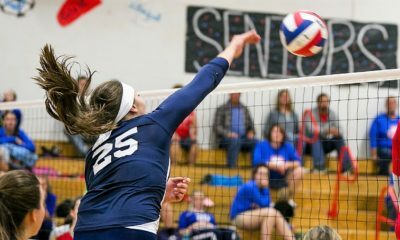 Sept. 18 volleyball and soccer recaps. 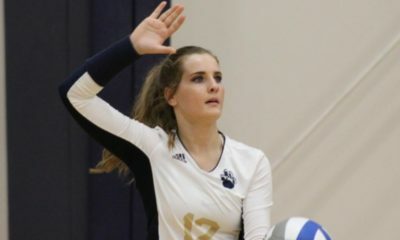 CLARION, Pa. – Freshman Korrin Burns had 12 kills, five digs and two aces to lead Clarion to a 3-0 (25-17, 25-17, 25-12) win over visiting Clarion-Limestone. Brenna Campbell ran the offense with 28 set assists to go with five digs and a kills with Dorothy Kalinowski adding six kills, Ali Troese four and Jordan Best three. KK Girvin added seven digs. Rachel Greeley had two kills and three blocks for C-L with Madi Craig chipping in two kills, Sadie Mahle 19 digs and Emma Smith 11 digs. Burns and Campbell talked about the win. KNOX, Pa. – Alyssa Dunlap had 21 digs, an ace and three kills to help Keystone defeat visiting Cranberry, 3-1 (25-22, 13-25, 25-18, 25-20). Emily Lauer had a game-high six blocks, and nine kills for the Lady Panthers and Mandy Wingard recorded 21 digs. McKenna Kaye chipped in with 11 assists. Malliah Schreck paced Cranberry with 15 kills and nine digs, while Emily Duncan tallied 26 assists. WEST SUNBURY, Pa. – Kylee Eaton had 14 kills, eight digs and four aces to lead visiting A-C Valley to a 3-0 (25-16, 25-13, 25-3) win over Moniteau. Olivia Boocks chipped in eight kills, 11 digs and two aces for the Lady Falcons with Mia Sherman adding five kills. Emily Wetzel ran the offense with 20 assists and added five digs. Samantha Broerman had six blocks for Moniteau with Carolyn Kelly adding four blocks and Logan Barnhart added two kills. DUBOIS, Pa. – Thanks to 12 kills, 15 digs and two aces from Kelli Hoffer, DuBois was able to defeat visiting Bradford, 3-0 (25-14, 25-16, 25-18). Cayla Donahue added eight kills for the Lady Beavers and Cate Gregory had a game-high 32 assists. Alexis Huber paced Bradford with six kills and Ashton Himes had three kills. KANE, Pa. – Twenty assists, five aces and nine digs from Hannah Buhl were enough for Kane to defeat visiting Ridgway 3-0. Ella Marconi chipped in for 11 kills, two blocks and six digs and Audri Marconi tallied five kills, three aces and eight digs for the Lady Wolves. KARNS CITY, Pa. – Emily Wolfe and Alyssa Stitt combine for 24 digs in Karns City’s 3-0 (25-16, 25-22, 25-23) victory over North Clarion. Wolfe tallied 11 digs and nine kills with Stitt recording 13 digs and three aces for the Lady Gremlins. Rayna Miller chipped in for five kills and four aces. Megan Baumcratz had four kills, four digs and three blocks for North Clarion, Dylen Mealy added six blocks and Kiara Stitt had 12 digs. ST. MARYS, Pa. – Johnsonburg was able to defeat St. Marys 3-0 (25-17, 25-22, 25-23). Lindsey Kocjancic and Jenna Morgan had eight kills apiece for the Ramettes. SHINGLEHOUSE, Pa. – Macy West had three kills and seven aces to help Oswayo Valley to a 3-0 (25-12, 25-9, 25-17) win over visiting Austin. MacKenzie George chipped in three kills, and four aces and Olivia Jandrew had eight assists. 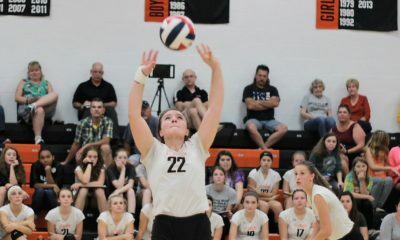 SHEFFIELD, Pa. – Taylor Newton had 16 kills and five aces to pace visiting Elk County Catholic to a 3-1 (25-21, 25-13, 23-25, 25-10) win over Sheffield. Brianne Ruffner added six kills for the Lady Crusaders. Annabel Sheldon had eight kills and 11 digs for Sheffield with Megan Johnson had 22 set assists and Callen Copley 12 digs. TIONESTA, Pa. – Great serving helped Union to a 3-0 (25-7, 25-11, 25-6) win over Forest Area at West Forest. Mogan Cumberland led the serving dominance with 10 aces while adding seven assists while Bryan Davis had six kills and six aces, Vanessa Reddick six aces and Marli Hawk two aces and five digs. Shawna Carbaugh had two kills, a dig and a block for Forest Area with Faith Healy chipping in a kill and three digs, Desaray Fox two kills and Angelina Harp a kill and a dig. EMPORIUM, Pa. – Harlee VanScoter had a game-high 15 kills to go with seven blocks and six aces to lead Otto-Eldred to a 3-0 (25-20, 25-13, 25-20) victory over Cameron County. Veronica Benini had 11 kills, nine digs and four aces for the Lady Terrors while Emmalee Sheeler tallied four aces and 10 assists. Emilie Reiter chipped in for two aces and nine assists. Mallory McKimm had eight kills and three aces for Cameron County while Morgan Lorenzo added three aces and Tapanga Allison seven assists. OIL CITY, Pa. – Jordan Milliron led a balanced offensive effort with six kills and four aces to lead visiting Redbank Valley to a 3-0 (25-7, 25-16, 25-15) win over Venango Catholic. Josie Rupp chipped in five kills and three aces, Taylor King had four kills and Torrilynn Nelson two kills and four aces for the Lady Bulldogs. Chenoa Rudder had eight digs for Venango Catholic with Ashley Barletta adding three digs, Lauren Ronchi a kill and three blocks and Emmy Ekis two aces, three kills and four digs. CURWENSVILLE, Pa. – Thanks in part to 14 Alyssa Bittner kills visiting DuBois Central Catholic beat Curwensville, 3-1 (25-19, 25-14, 20-25, 25-17). Bittner added four blocks for the Lady Cardinals with Ashley Wruble running the show with 17 set assists while adding three aces. Jordy Kosko had four kills and four blocks, Shay Gulvas paced the defense with 14 digs and Maia Cogley added two aces. Liz Mathews had nine kills, four blocks, four digs and four aces for Curwensville with Erica Buck adding four kills, two blocks, two assists and an ace, Tarah Jacobson four kills and eight digs and Morgan Warrick nine digs. COUDERSPORT, Pa. – Shaelyn Black had a double-double of 16 kills and 10 digs to lead Coudersport to a 3-0 (27-25, 25-7, 25-11) win over visiting Smethport. Mikayla Kavounas had 14 assists for the Lady Falcons with Erica Williams adding seven aces and two kills and Hope Daisley three aces and two kills. Mykayla Deyarmin paced Smethport with 11 assists, seven digs and three kills. Alexis Shall added five kills, four digs and four blocks for the Lady Hubbers with Emily Gustafson pacing the defense with 13 digs while also recording four kills and a block. 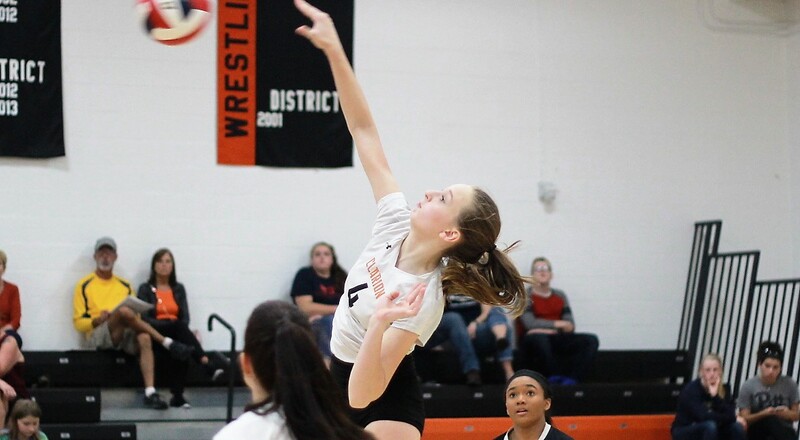 PORT ALLEGANY, Pa. – Kierra Keck’s eight kills led a balanced effort for Port Allegany in a 3-1 (25-23, 25-11, 21-25, 25-12) win over visiting Galeton. Kayla Pesock added seven kills, seven digs and three aces for the Lady Gators with Erin Stauffer pacing the defense with 13 digs to go with four kills and four aces. Jenna Sprankle ran the show with 19 assists and added eight aces. Marika Lechker had four kills and two aces and Brille Kalachski five kills and two aces for Galeton. PORT ALLEGANY, Pa. – Simon Burleson’s goal off a feed from Noah Costa with 11 minutes to play lifted Port Allegany to a 2-1 come-from-behind victory over visiting Coudersport. Coudersport took an early lead on a Christian Furman tally, but Burleson tied the game at one with three minutes left in the first half. Costa and Shawn McNeil had helpers on the tying goal. Brandon Peterson made two saves for Port Allegany in goal to get the win. Rosalyn Page had 10 saves for Coudersport. STRATTANVILLE, Pa. – Beau Verdill had a goal and an assist to help Clarion-Limestone to its first win of the year thanks to a 4-1 victory over visiting Redbank Valley. Verdill assisted on a tally by Johannes Kuehn and scored off a pass from Ryker Bingham. Donovan Montgomery also scored unassisted for the Lions with Isaac Kim scoring off an Austin Coull feed. Ben Murtha had three saves for Clarion in net. Redbank Valley’s goal was scored by Jimmy Gundlach. MARIENVILLE, Pa. – Bryce Kunselman scored twice to help visiting Brookville to a 5-2 win over Forest Area at East Forest. Justin vander Kelen gave the Raiders an early 1-0 lead, and Zakk Wolfe followed with a goal on a penalty kick after Kunselman was drug down in the box to make it 2-0. Kunselman then made it 3-0 on a goal off a cross from Jace Miner with 6:15 left in the first half. But Forest Area got a pair of goals in the final two minutes of the half to make it a game. Noah Burke scored with 2:01 to play off a feed from Daniel Parrett and then Jarrett Kahle scored with 21 seconds left before the break on a free kick. Second-half goals though by Miner (assisted by Wolfe) and Kunselman (assisted off a corner by Nate Burkett) set the final scored. Dan Schwab made 14 saves in net for Forest Area. KNOX, Pa. – Santino Inzana’s hat trick helped visiting Brockway to a 10-0 win over Keystone. Jake Anderson added a pair of goals for the Rovers with Zane Puhala, Ryan Lin, Noah Fremer, Elijah Fremer and Marcus Bennett also scoring. Hunter Allenbaugh had four assists with Puhala adding three and Nolan Swanson, Connor Ryckman and Dom Inzana one each. 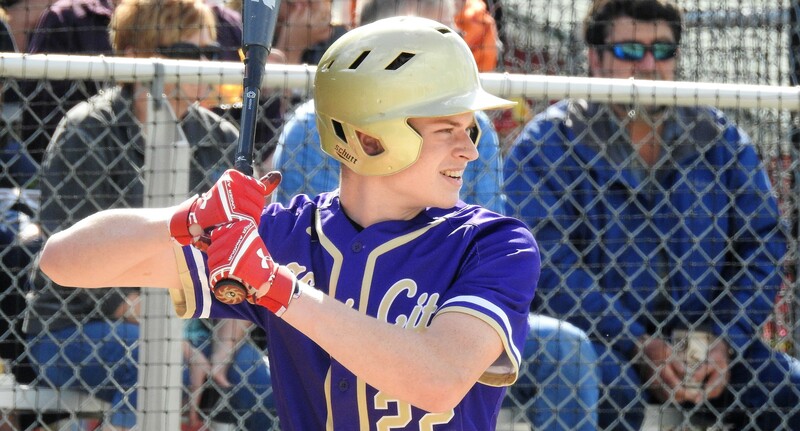 Garet Park and Cole Lunger combined on the shutout. 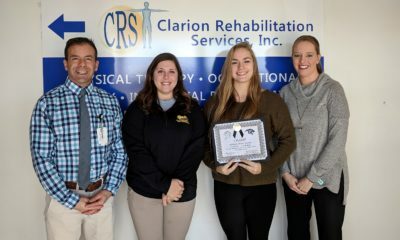 CLARION, Pa. – Clarion and visiting Redbank Valley played to a two-all draw. Joyce Kim and Emily Grabiak scored for the Lady Cats. Netting tallies for Redbank Valley were Brooke Eberle and Abigale Downs. HICKORY, Pa. – Jessica White and Natalie Bell each scored a pair of goals to lead Hickory to a 4-0 win over visiting Bradford. Molly Piso had her sixth shutout of the season for the Lady Hornets. KNOX, Pa. – Chanell Britten scored four times to pace an 11-0 Brockway road win over Keystone. Morgan Lindemuth and Bailey Allison each added a pair of goals for the Lady Rovers with Kate McMeekin, Emily Botwright and Morrigan Decker also scoring. McMeekin chipped in four assists, while Mackenzie Overbeck (three saves) and Danielle Woods (two saves) combined on the shutout.